On October 31, 1517 – five hundred years ago – Martin Luther, a young Catholic monk, posted his 95 theses on the door of the castle church in Wittenberg, Germany. 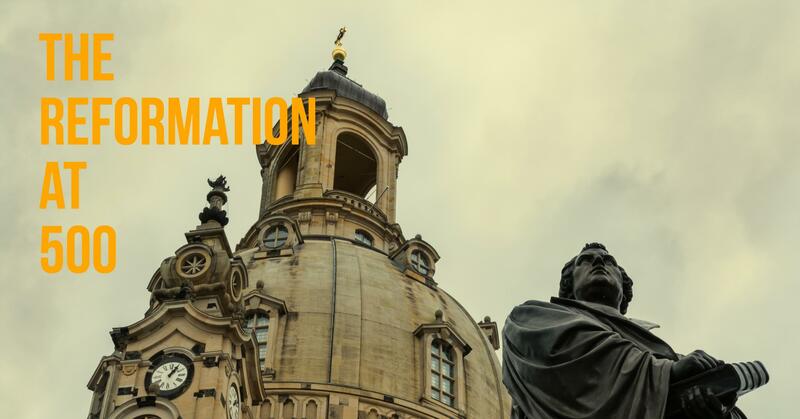 That was the spark that set ablaze the religious movement we know now as the Protestant Reformation. And it was a movement that literally and radically changed the world. To help answer these questions, I want to heartily recommend a small volume by Gregg Allison and Chris Castaldo entitled, “The Unfinished Reformation: What Unites and Divides Catholics and Protestants after 500 Years” (Zondervan: 2016). It’s available in our Ingleside Bookstore. I’m confident that you will find the informative style and irenic spirit of this book attractive and winsome. It does not require specialized theological training to understand its message. The tone is not partisan nor pejorative, but it is direct and clear. The purpose is “to encourage fruitful conversation about the key theological and sociological differences between the two largest branches of Christianity.” I found this book to be very helpful, and I think you will too. Not only do I hope you will read this book, but I also hope to see you at Ingleside this Sunday morning, October 29, as I conclude the six-part series of messages celebrating the 500th Anniversary of the Reformation. And, of course, if you have missed any of the messages in this series, you can always find them on our website here. Sola Scriptura – Scripture alone is our final authority. Sola Gratia – We are saved by grace alone. Sola Fide – We are saved through faith alone. Solus Christus – We are saved in Christ alone. Soli Deo Gloria – All our life is to be for the glory of God alone.